One of the most important functions of this project is to prevent pizmonim from getting lost. 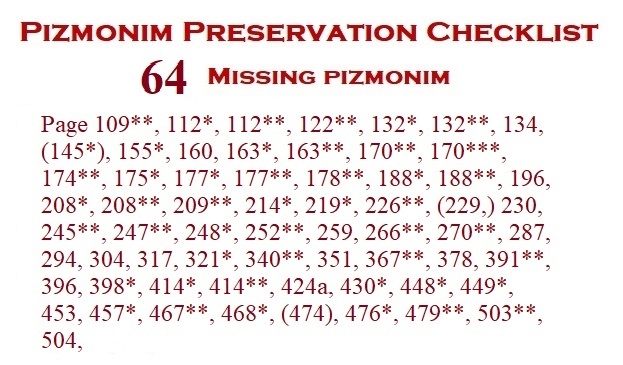 From the very beginning of this project, we set up the "Pizmonim Preservation Checklist." When this endeavor was first started in 2005, we were missing 295 pizmonim from the Red Book. Today, in 2017, we are currently missing only 65 pizmonim. Sasgar 198 163 שא נא לי Raphael Tabbush Sasgar or Mahour.